Khloe Kardashian appears At ULTA Beauty's West Hills Store To Promote Kardashian Beauty Hair Care And Styling Line at ULTA Beauty on April 2, 2015 in West Hills, California. Ulta’s likely arrival in Canada is a sign that the beauty field is still lucrative, even while incumbents expand their offerings and new players arrive on the scene – online and in physical stores. At the same time, Ulta’s entry here could benefit retail landlords that are looking to fill empty sites left by Sears Canada Inc. and other faltering merchants. Ulta would face well-entrenched, dominant beauty players in Canada, Ms. Danziger said. They include department-store retailer Hudson’s Bay Co. (HBC), drugstore specialist Shoppers Drug Mart (owned by grocer giant Loblaw Cos. Ltd.) and beauty chain Sephora, which is owned by France-based luxury powerhouse LVMH Moët Hennessy Louis Vuitton SE. As well, U.S. upscale department-store chains Nordstrom Inc. and Saks, owned by HBC, arrived in Canada over the past few years, while Amazon.com Inc. is increasingly expanding in the beauty category. Ulta distinguishes itself by having a hair salon and spa services such as facials within its stores – services that are not available online and bring consumers to Ulta’s physical outlets, said Mark Ryski, president of Edmonton-based HeadCount, which tracks retailers’ shopper traffic. And Ulta touts a wide range of prices and products from lower-end lines such as Maybelline mascara to higher-end ones – referred to in the industry as “prestige” brands – such as Kiehl’s skincare products. 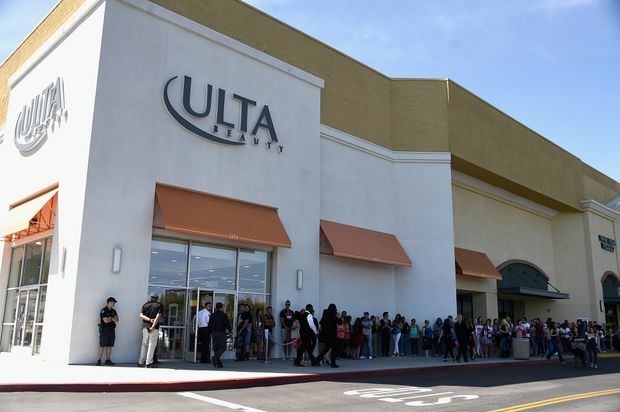 “Ulta has bridged the distinction between a prestige and a discount makeup store,” said Olivia Ross, an analyst at market researcher IBISWorld in New York. “In Canada, it would draw customers away from Sephora,” but also from drugstores and department stores, she said. Ulta’s latest financial results have been strong. 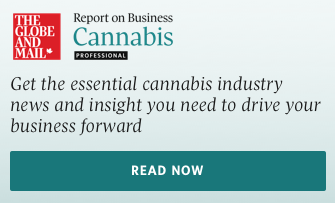 Its 2018 sales jumped 14.1 per cent to more than US$6.7-billion over the previous year, while profit rose 18.6 per cent to US$658.6-million. “We still feel like we have a tremendous amount of opportunity to gain share from both the department stores, from the mass [lower end] areas of the business, drug stores, grocery, et cetera,” Tara Simon, a senior vice-president at Ulta, told a conference this month. Even more attractive are the operating profit margins: they represent 11.5 per cent of overall beauty-store sales compared with just 3.7 per cent of grocery sales and 3.4 per cent of women’s apparel store sales, Ms. Ross said. Other incumbents aren’t standing still. Sephora has expanded rapidly in Canada and is a strong, digitally friendly player, Ms. Danziger said. Hudson’s Bay launched last fall its “Elle 2” beauty concept in its Toronto flagship store that includes “K beauty” such as trendy Korean face masks and natural “green beauty" items, said chief merchant Wayne Drummond. Luxury retailer Holt Renfrew & Co. Ltd. is expanding its main-floor “beauty hall” to the lower level at its Toronto flagship while having moved and enlarged the beauty hall to the lower level at its Ogilvy store in Montreal, a spokeswoman said. Shoppers Drug Mart is focusing on marrying beauty and health, said category director Catherine Woods. Among its latest initiatives, she said, are the introduction of multipurpose, gender-neutral skincare products, do-it-yourself facials and makeup with a “myriad of shades” to respond to diverse consumers.